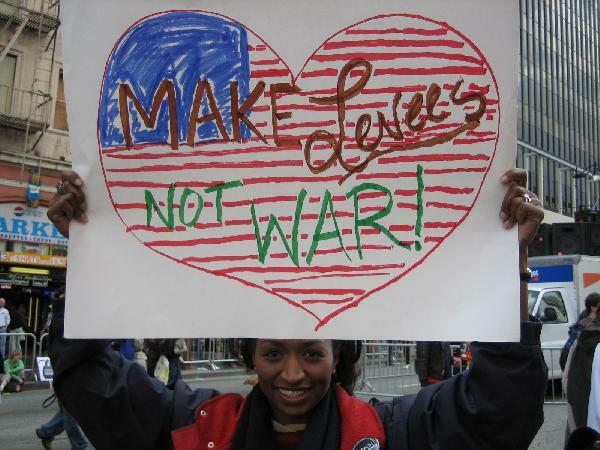 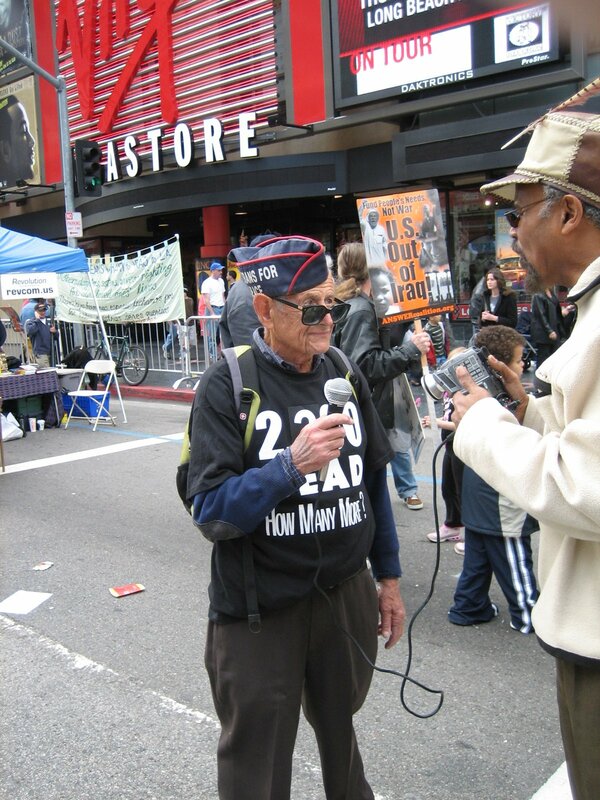 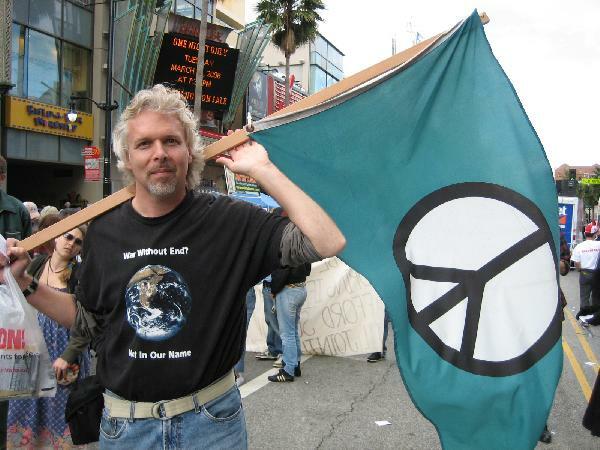 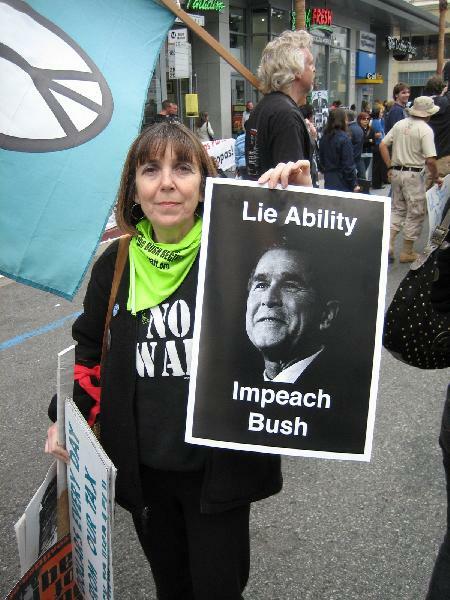 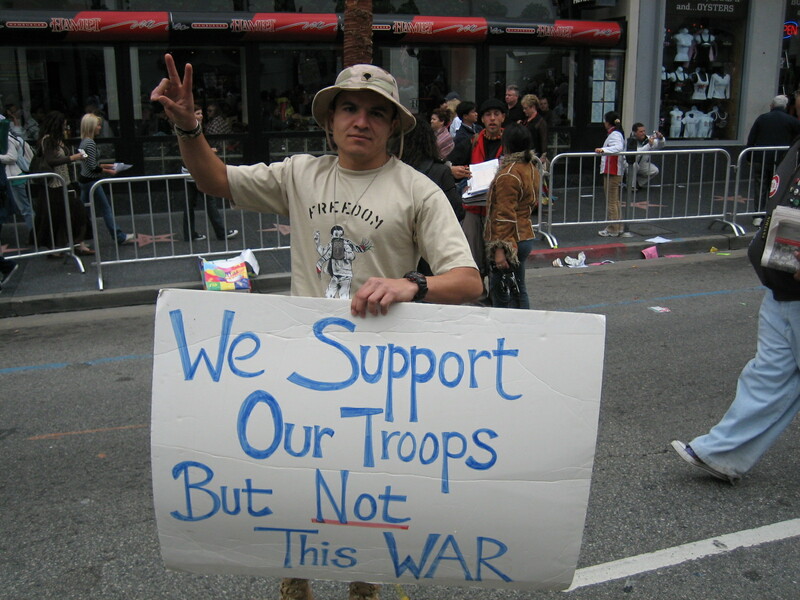 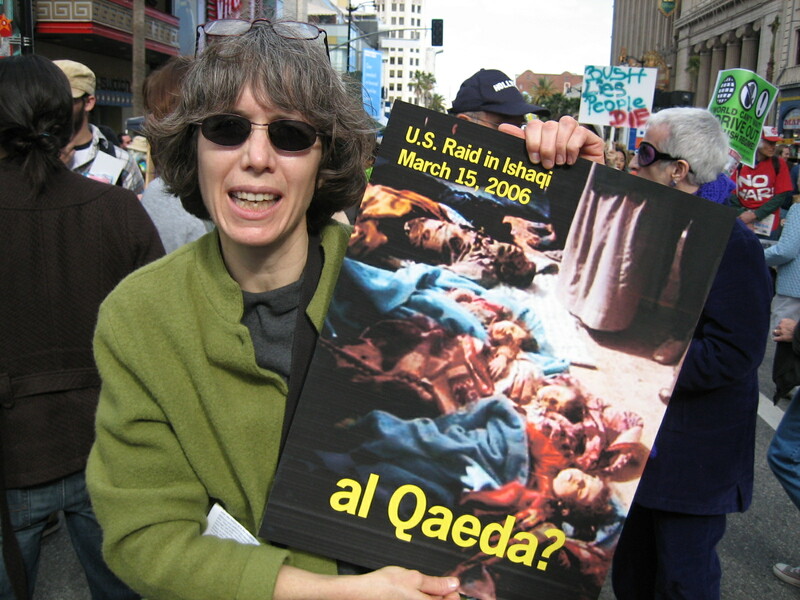 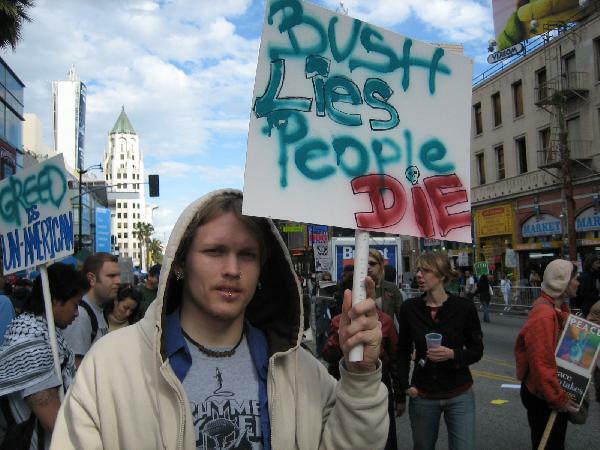 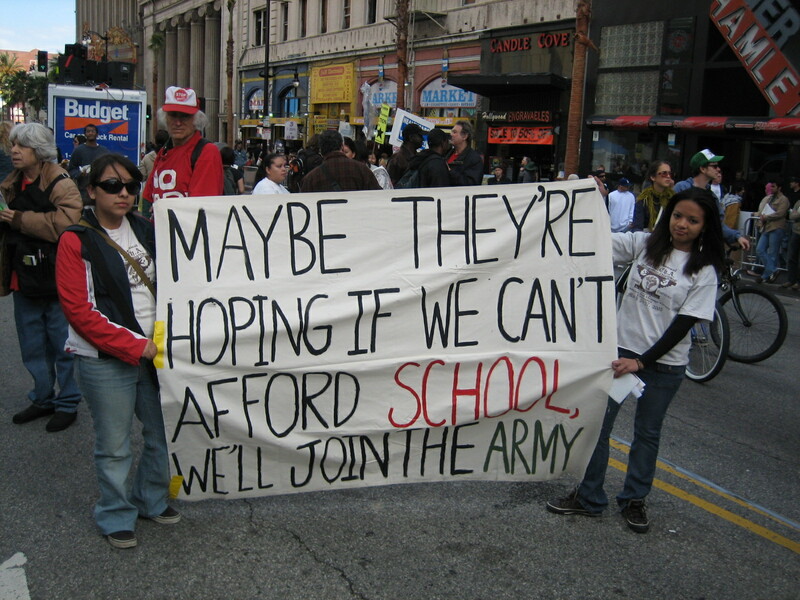 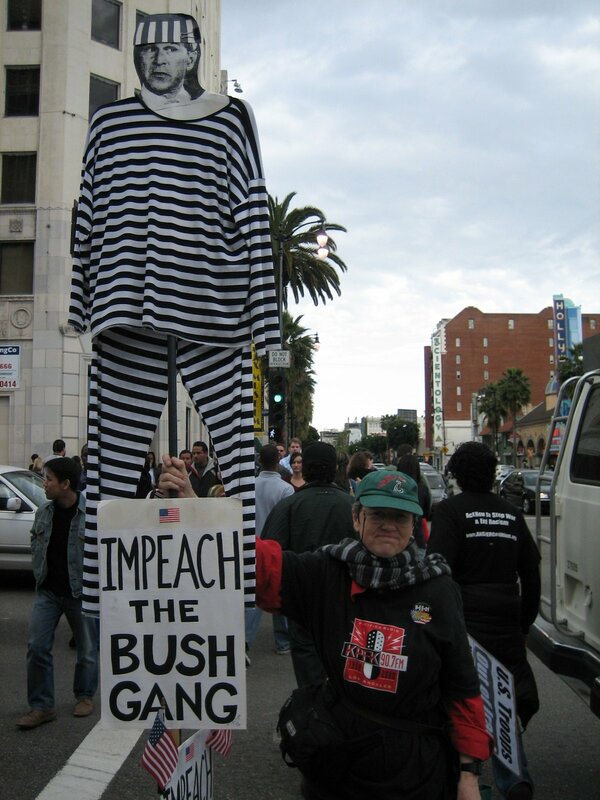 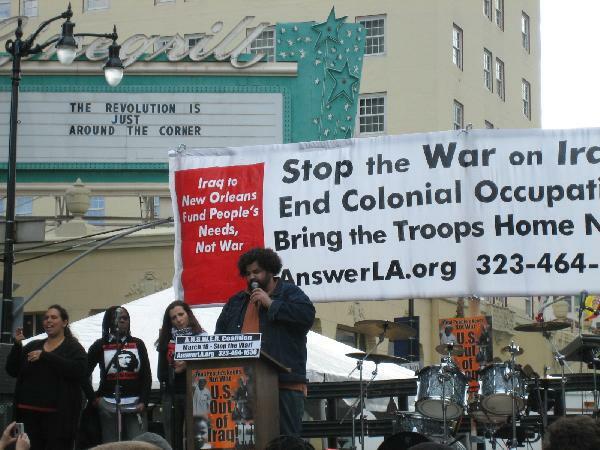 Thousands of Peace-Loving people marched through the streets of Hollywood demanding an immediate end to the US military occupation of Iraq. 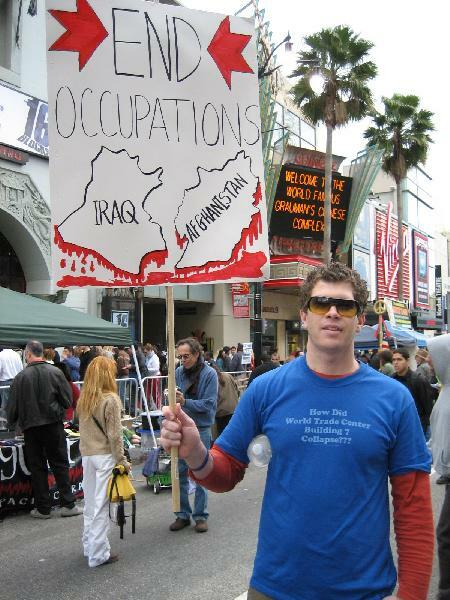 Thousands of Peace-Loving people marched through the streets of Hollywood today demanding an immediate end to the US military occupation of Iraq. 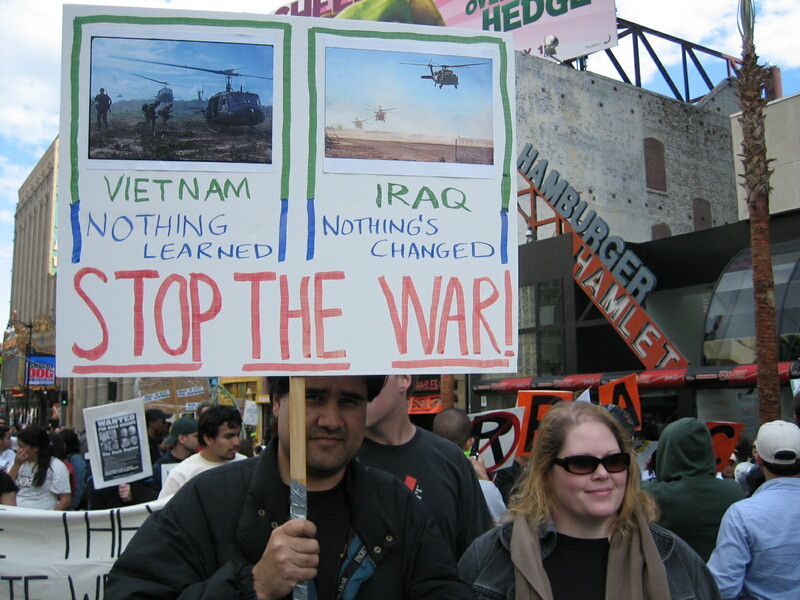 The war in Iraq began three years ago when Mr. Bush, in a blatant act of aggression, ordered the US military to invade the sovereign nation of Iraq. As justification, Mr. Bush cited knowledge of Iraq's possession Weapons of Mass Destruction (WMD). 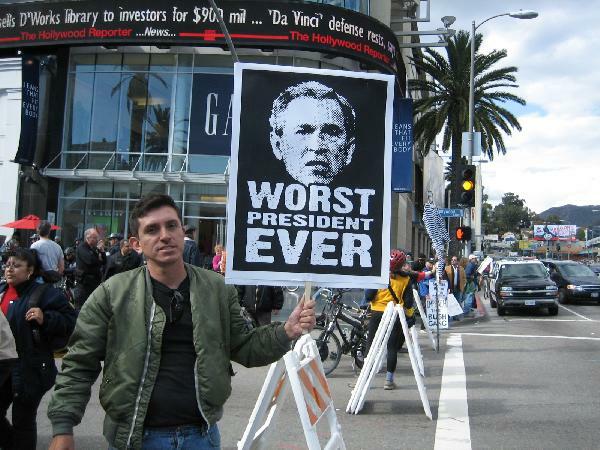 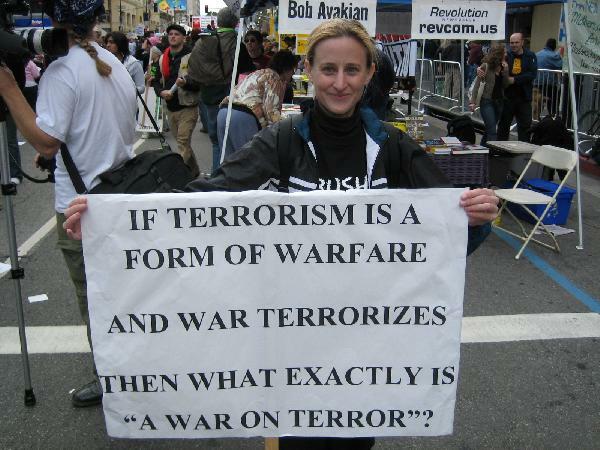 No WMD were ever found in Iraq. Three years later, the US military continues to occupy the nation of Iraq, despite polls which indicate that a majority of Iraqis and US citizens want the US troops to be withdrawn. A protester holds a sign hear the intersection of Hollywood & Higland. none go into as great of detail as does the issue OF THE IMPERIAL-PRESIDENT..."
and make our neighborhood, "a nicer place to live"...! 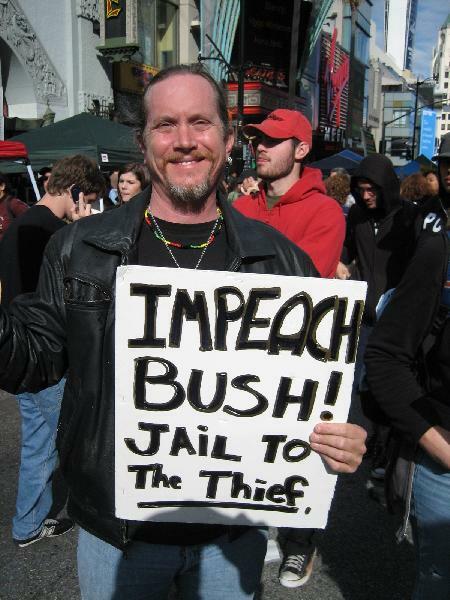 ie: "shall" does-not mean "maybe"...! 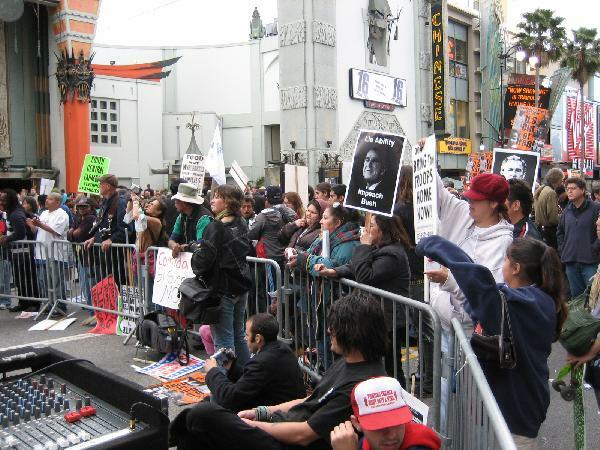 what a fantastic outpouring of expression you had in LA. 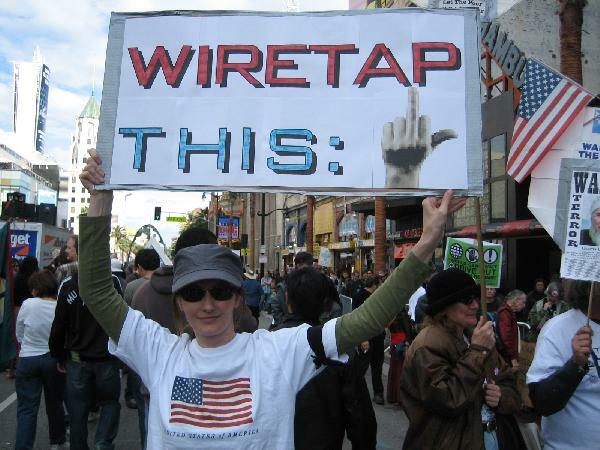 I participated in an 18 March protest in NZ, culminating at the US Embassey; we are not a part of the "coalition of the willing" officially as a nation, but some of our defence forces have been "observers" and "advisors" to the Blair (UK) troops, so NZ peace activists protest that involvement. 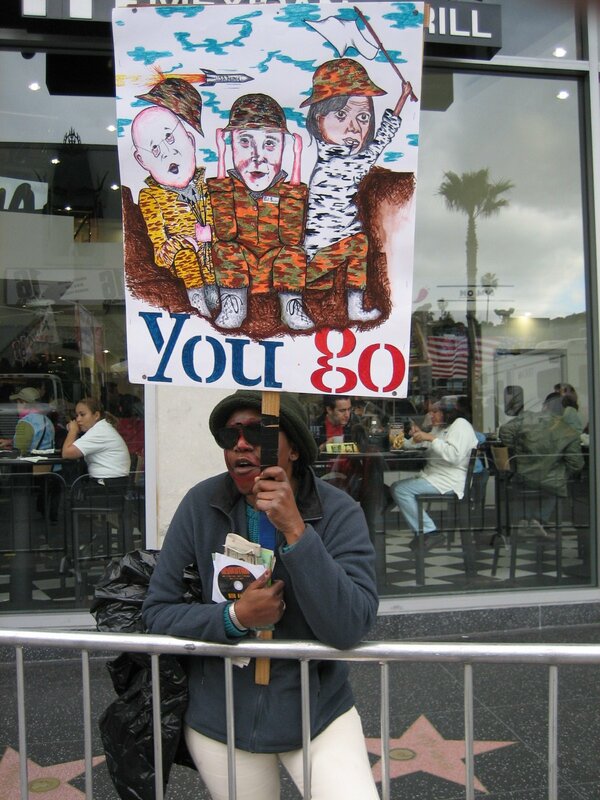 Great to see so many of all ages protesting! 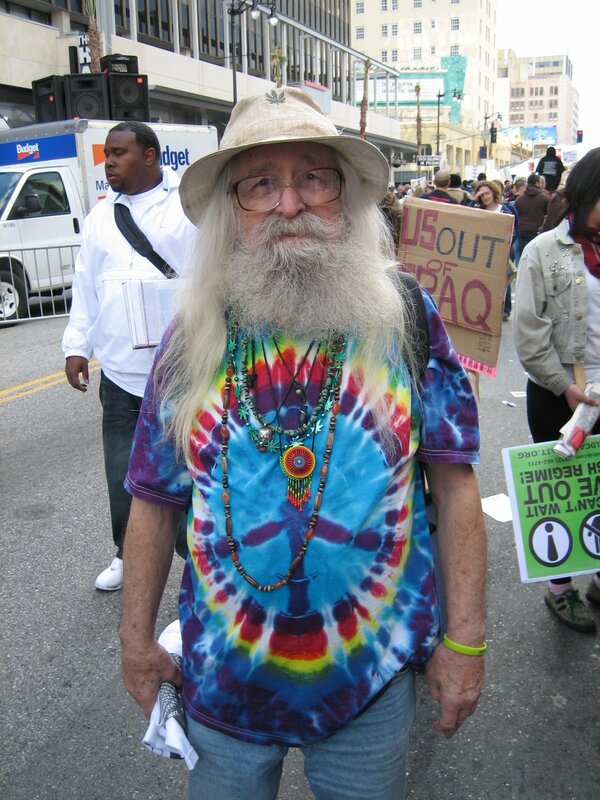 God bless this old hippie.